Project Inspire recently completed a project with youth through the combination of empowerment and the performing arts to uplift their spirits and inspire self-confidence in Baltimore, MD. These young ladies had the invaluable opportunity to experience that joy and self-confidence so many of our youth yearn for. An organization called Worthy Girls, Worthy Lives hosted a 10-week education and mentoring program featuring Project Inspire as one of its program partners. Upon personal invitation from the Executive Director, Kirstyn Mayden, Project Inspire’s own Daphne Charles led three hour-long sessions focusing on the empowerment of each participant through dance, positive self-identification and personal expression. After a Project Inspire dance class, participants, ranging from age 9-12, each expressed a more positive outlook and an enhanced self image as a result of the sessions. During an empowerment session with Project Inspire, they proclaimed themselves as unique, special, energetic and intelligent. The girls celebrated their completion of the program and showcased choreography learned during their Project Inspire program sessions on October 12th at the Eubie Blake Jazz and Cultural Center in Baltimore where they also communicated the powerful influence the Project Inspire program had on their lives. The Worthy Girls, Worthy Lives program is just one of the successful endeavors of Project Inspire’s Youth, Education, Arts and Empowerment (Y.E.E.A.) program and we hope to continue this great work in the lives of our youth in even more communities. 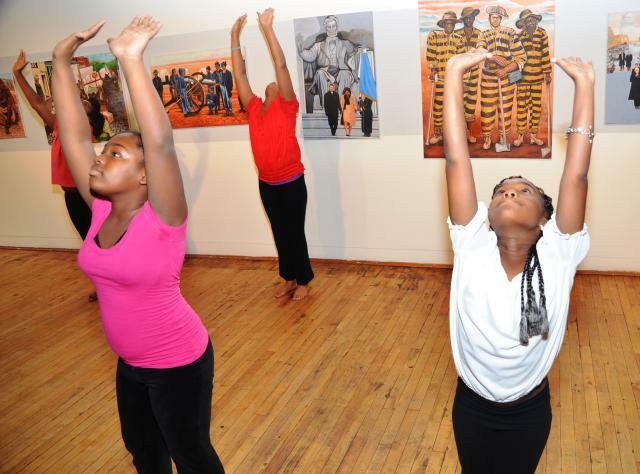 Tags: Arts, Baltimore, Cultural Center, Empowerment, project inspire, youth. Bookmark the permalink.